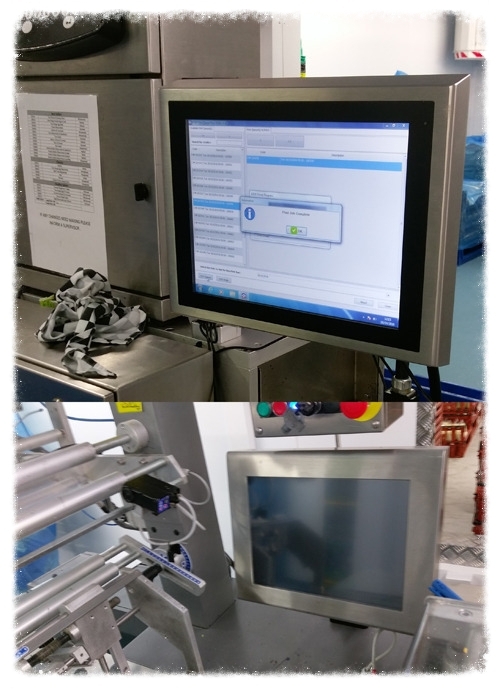 DSL were approached by a well-known leader in food production with a request to supply a touchscreen Panel PC compliant with the strict requirements in food and beverage manufacturing. The application demanded fast processing time (thus required high performance) yet heavily protected against solid and water ingress and corrosion proof. The solution, our APC-3X95 offered a high performance Intel® Core i3 CPU, yet entirely passively cooled within a fully IP65/IP69K stainless steel enclosure. Mechanically integrated using our Stainless Steel VESA mount to ensure a 100% corrosion proof solution. Is glass near food acceptable, or not? A lively debate exists in the food/beverage industry around the most suitable touchscreen option. Resistive touchscreens protect against the risk of broken glass by their plastic membrane completely covering the LCD glass. PCAP touchscreens have a glass front, but their 7H hardened vandal-proof rating effectively guarantees against a breakage in the first place. The debate rages on…though this client elected for our resistive option.